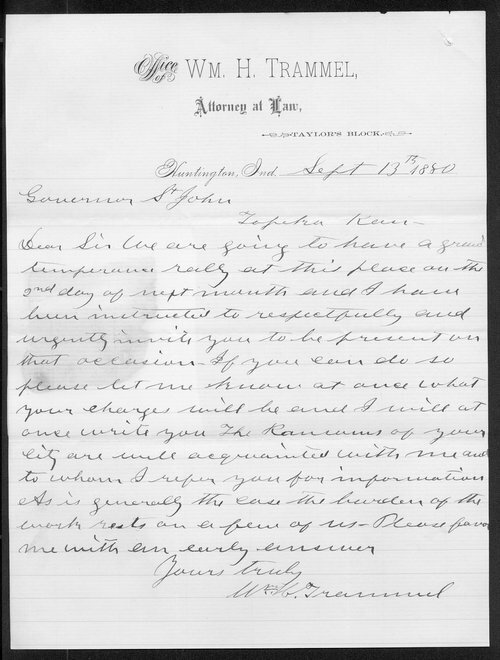 In this letter, Kansas Governor St. John is invited by W.H. Trammel to attend a grand temperance rally in Huntington, Indiana, on the 2nd day of October. Trammel would like to be informed of the Governor's charges for such a visit.